A whole world of opportunity can open for a carpenter once the apprenticeship is over. Some chippies choose to spend a few more years on wages, but switching to self-employment is always an attractive option. By this stage you should have an impressive collection of tools, a decent ute and trailer, and most importantly, the skills to do the job! A great network of builders will also be invaluable as you switch to running your own business. In this guide we’ll take a closer look at what’s involved in starting your own carpentry business in Australia. Before we get into the more exciting topics, the first one to tick off is licensing. Unfortunately our state based system makes it a little difficult to give a broad assessment of what licences you’ll need (if any) to get started. Generally speaking, you won’t need a licence if you are subcontracting to builders. Your work will be covered under their building licence. TIP: This doesn’t extend to insurance however. If you are subcontracting, you will generally still need your own public liability insurance. If you are undertaking work directly for clients you may need a licence, depending on the value of the work and which state you are located in. We strongly recommend speaking with your relevant state authority, but we’ve put together a quick summary below. If you’re already on top of your licence requirements, you can skip straight past all of this. A QBCC licence will be required if you are undertaking any building work valued at over $3,300. Importantly, the value of the work includes the reasonable costs of the materials used, even if you are not supplying the materials. If you are undertaking work valued at more that $3,300 (which you surely will be) then you will require a QBCC licence in the ‘Trade Contractor’ class. The next step up from here is a builder’s licence, which is available in a number of different classes. In NSW you’ll need to apply for a Contractor Licence. There doesn’t appear to be any threshold for not needing a licence. If you are undertaking any work with a value exceeding $20,000 you will require insurance under the Home Building Compensation Fund. Trade Risk is unable to assist with this insurance type. There are no insurance requirements if the value is under $20k, however public liability is always strongly recommended. 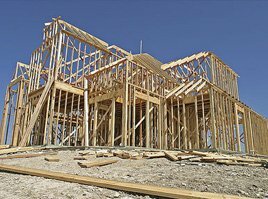 Carpenters in Victoria will need to register with the Victorian Building Authority (VBA) if they are undertaking work with a value of $10,000 or more. This includes the cost of labour and materials. 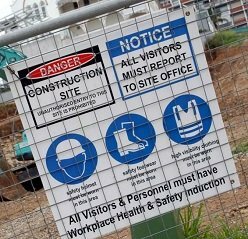 In South Australia you’ll need a licence if your business “carries out or organises building work”. We understand that carpentry work is captured under this. Interestingly, SA also requires that subcontractors hold a licence. If you’re undertaking building work in Western Australia with a value of more than $20,000 you’ll need to register as a building contractor. It would appear that no licence is required if you are working on projects with a value of less than $20k, but we recommend checking with the WA Building Commission. Carpentry is not a “licensed occupation” in Tasmania (unlike electricians and plumbers), however they do appear to fall under the building services category. We recommend contacting the Department of Justice for clarification. No licence is required for carpenters in the Northern Territory where the value of the work is less than $12,000. Note: This information was current at 12 March 2018. Please refer to the relevant state authority for up to date information. There are a few different ways in which you can structure your new carpentry business. It is best to speak with an accountant before deciding on your business structure, but not everyone has an accountant before they go into business. Many carpenters are sole traders when they first take out business insurance with us. This is no surprise given that it’s the cheapest and easiest option. You can change down the track, and we find that many of our clients who start as sole traders will switch to a company (Pty Ltd) at some stage down the track. The good news, from an insurance perspective, is that it’s easy to change your insurance from one business structure to the other, without having to start a whole new policy. For more information about business structures it’s worth reading our sole trader or company guide, or of course speak with your accountant. On the subject of accounting, you may also want to consider using a bookkeeper for your business. This will enable you to spend more time on the tools and less time on paperwork. Once you have your licencing needs and business structure sorted out, the next step is get some insurance in place. We’ve already put together a huge guide on carpenters insurance, which you can access by following the link. So we’ll stick to a brief summary here. The most common form of insurance for a carpentry business is public liability. This is the policy that will cover you in the event that your work results in property damage or personal injury to a third party. It’s an incredibly important form of insurance, but also extremely affordable, with premiums starting from under $400 a year for $5 million cover. Tool insurance is also vital for any carpenter, especially if you have a big collection of power tools like most chippies. Once you’re self-employed you’ll no longer be able to rely on sick leave, and potentially no workers compensation depending on which state you’re in. This means income protection becomes extremely important. Income protection can cover a large portion of your income for a period of time whilst you are unable to work due to injury or illness. Trade Risk is the only insurance provider recommended by Carpentry Australia, so naturally we can help with all of your insurance needs. There’s no point going through the whole process of setting up a carpentry business if you can’t attract any work. For some self-employed carpenters who simply subcontract to other builders, there might not be any great advantage to spending money on branding and marketing. After all, if you already have a great network of builders sending you enough work to keep you busy, why spend money on things you don’t need? But if you want to get out there and chase your own jobs, or build your own recognisable brand, you’ll need to invest in some marketing. Once you’ve decided on a business name, getting a logo designed is the first obvious step. Some tradies choose to knock something up themselves on the computer, but for more professional results it’s worth using a pro. At Trade Risk we used 99designs for our logo, which is an Australian-owned crowdsourcing website. We still love our logo eight years later, so it’s money well spent and we certainly recommend 99designs. We’ve used them on a few other projects as well. You tell them what you like, then designers from around the world will submit their designs and compete for your prize. It’s a great way of getting a unique logo without spending a heap of money on graphic design. They can also package up the design of letterheads, business cards and invoice templates. Getting a website can also be a great idea if you’re dealing directly with clients, or simply want a strong online presence for your business. 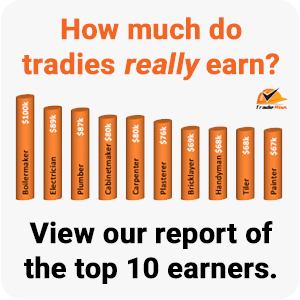 We’ve put together an online marketing for tradies guide which you can access via the link. It covers off websites, online advertising and social media. We don’t know if people still use things like the Yellow Pages, so you’ll have to do your own research on that! Joining an industry association can be a great way to keep up to date on news impacting upon your business. For chippies, this will be Carpentry Australia. They are the peak body in Australia that solely represents carpenters. Not only do they have some great resources, but you’re also able to use their logo in your marketing which can help in terms of giving your business a professional and credible look. Getting more information about starting a carpentry business really depends on what you need. For licensing advice you’ll need to contact your state authority, for business structures contact your accountant, and for insurance contact us. All the best with your new carpentry business! Author: Shane Moore. Last updated: 17/10/2018.